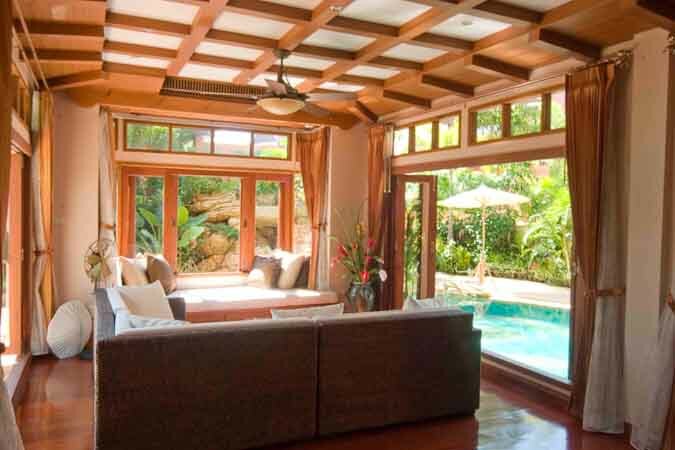 Surrounded by mature planting with a deep pool curving around the living room windows, and ending at a bar with jet massagers by the garden sala, this villa has a green and peaceful feel and is within walking distance to a private beach shared by residents of the village. 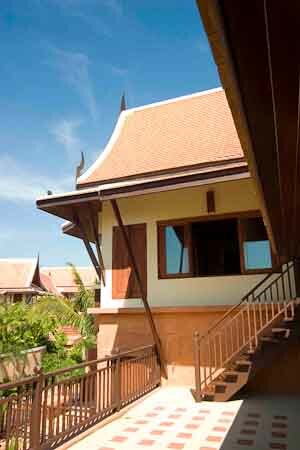 Set on 3 luxurious floors and topped with the Thai roofs which allow for high vaulted ceilings, a theme of timber is immediately apparent. 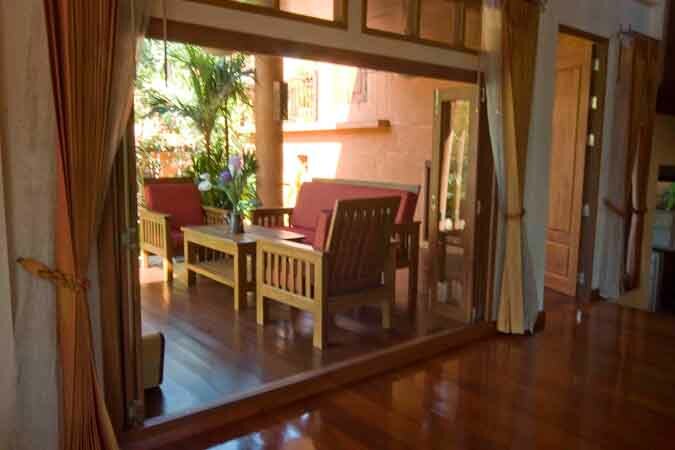 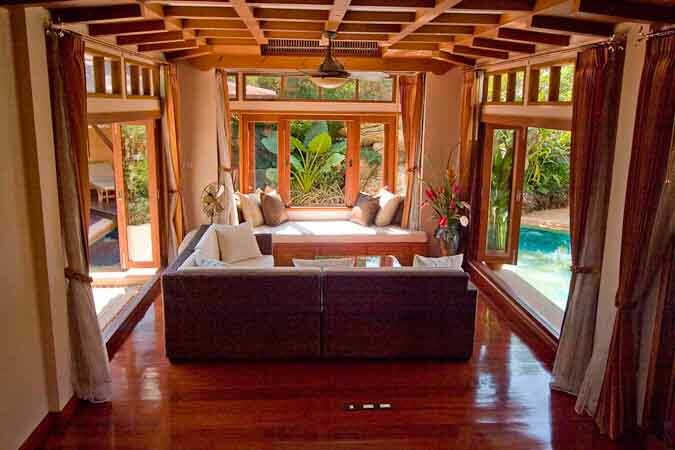 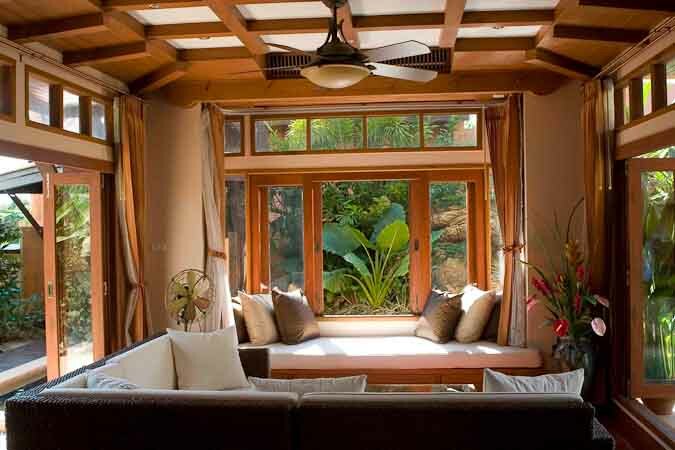 Wooden floors, reproduction traditional furniture, and beautiful teak doors, both internal and external lend a complete feel to your holiday home of a lifetime. 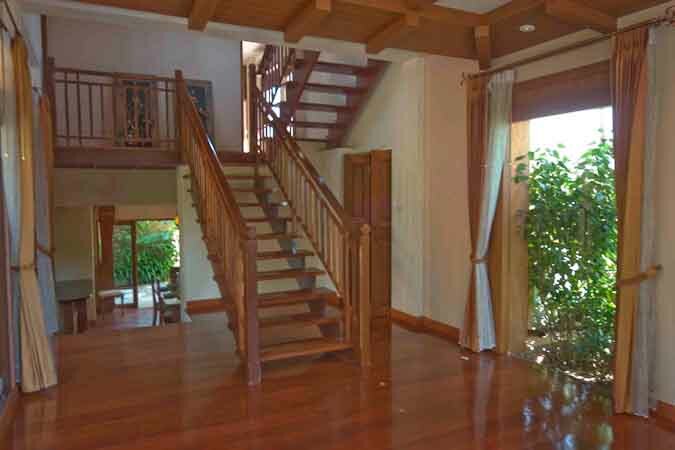 The property features cassette type air-conditioning in most rooms, and there is a double garage with remote controlled door. 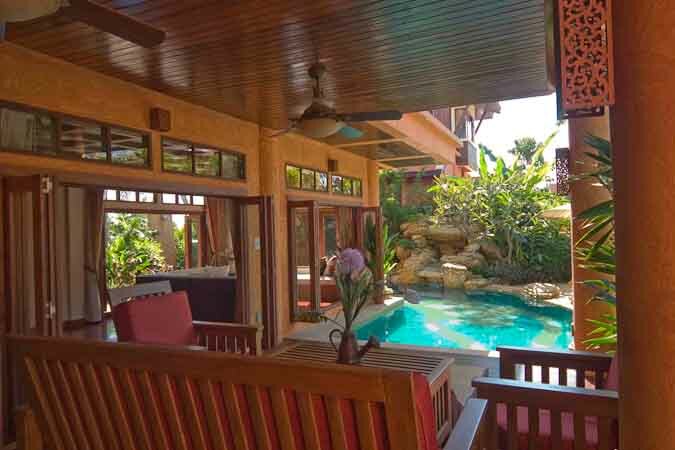 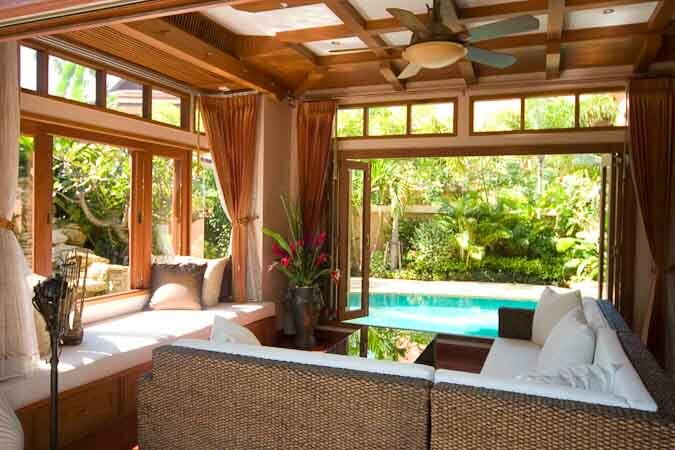 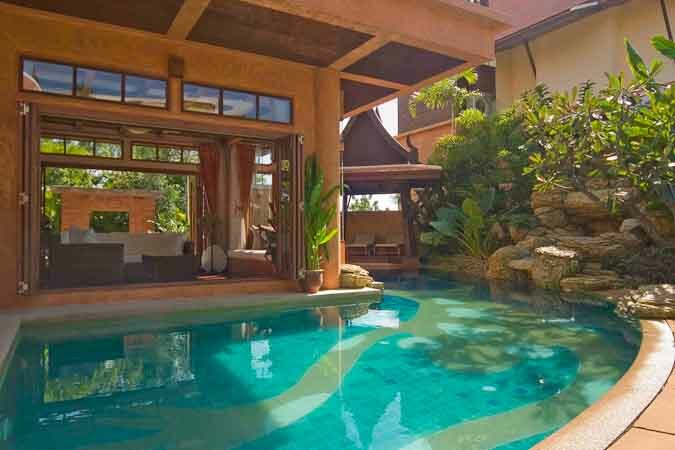 Location?Located very close to a private beach, and within 1k of the southern end of Jomtien Beach with its associated gentle entertainment, this villa is ideally situated for both relaxing, and exploring the many attractions of the area. 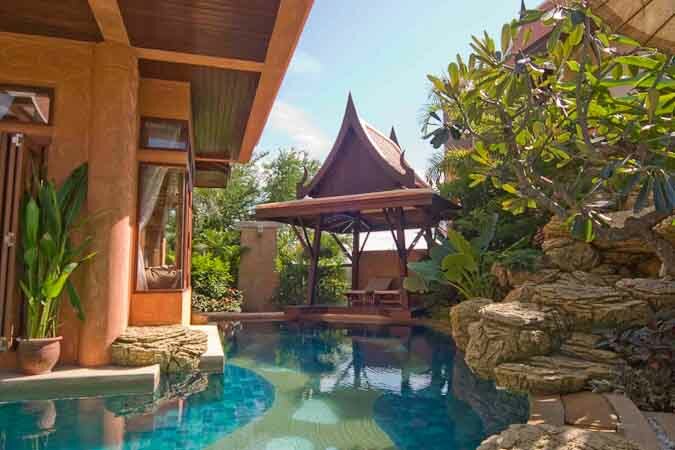 After filling your suntan needs, maybe head out to the countryside and visit Khao Chee Chan, which is an outline golden Buddha image set on a mountain cliff and within 5k of your villa, and spend an evening seeing the delights and sounds of Walking Street. 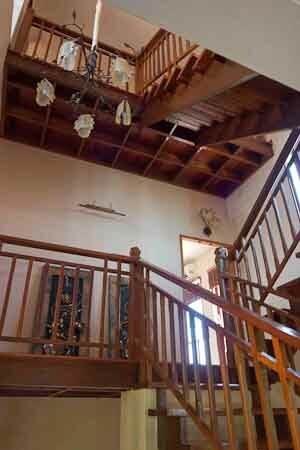 There is so much to do in the area it would be difficult to fit it all in. 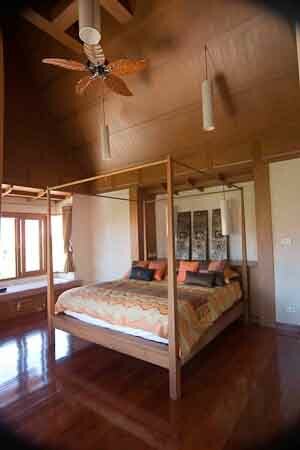 All the bedrooms are upstairs with the master bedroom having its own TV. 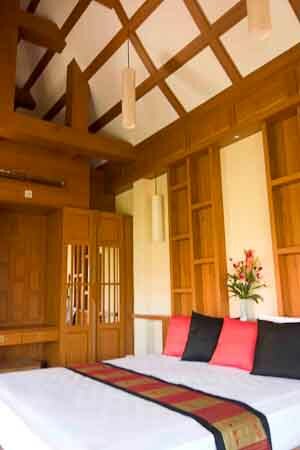 The first floor has two bedrooms: One with its own private balcony. 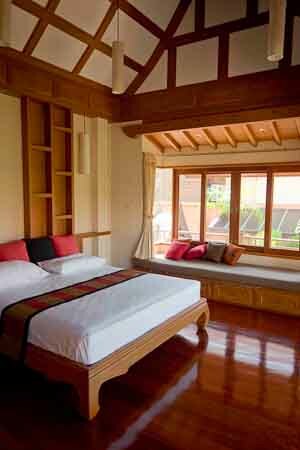 Up one more level, there is another king-size with a large balcony, and window soft-seating and high sloping ceilings. 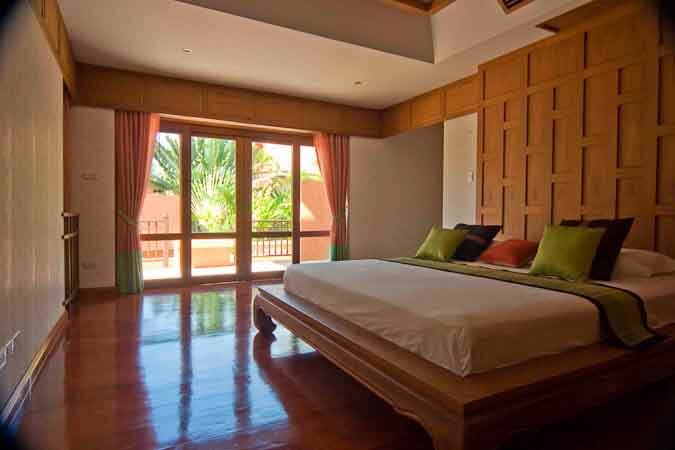 On the highest level, the master bedroom suite has a four-poster bed, wonderful garden views, and a walk-in wardrobe room. 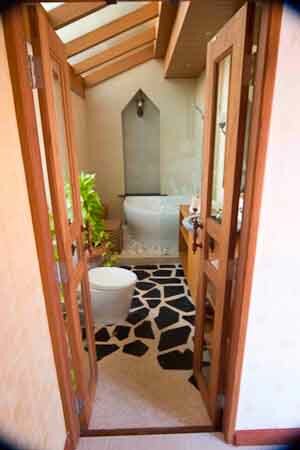 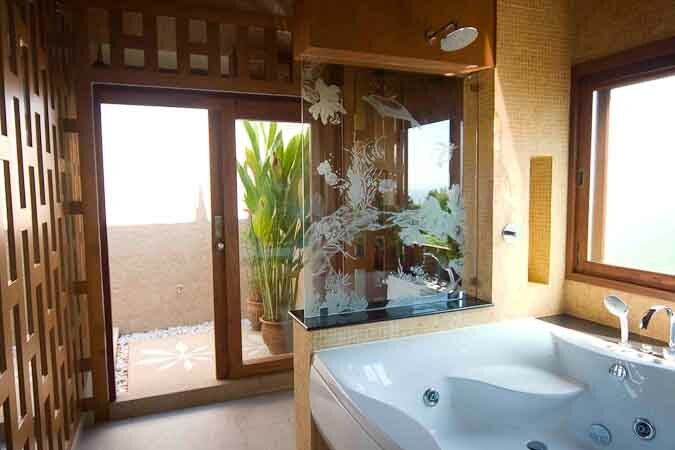 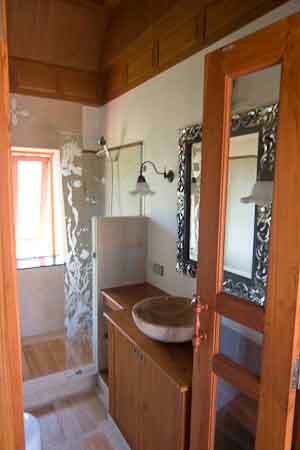 All bedrooms have ensuite bathrooms with stone basins and showers. 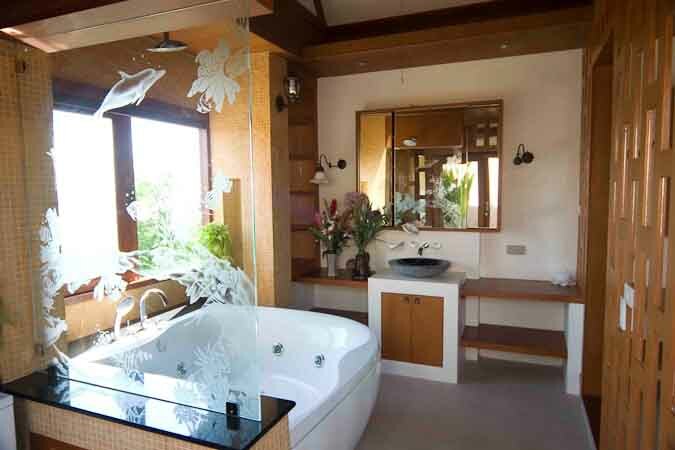 One of the first floor bedrooms has a corner bath with a shower above, and the master bedroom ensuite has a state-of-the-art whirlpool jet bath set. 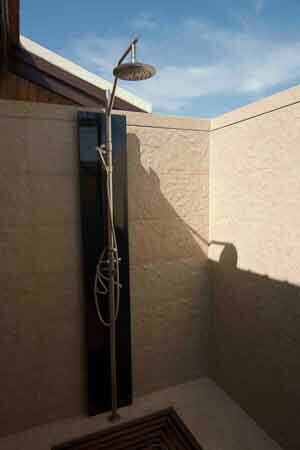 Here there is also an outside shower for those that like to refresh themselves under the stars. 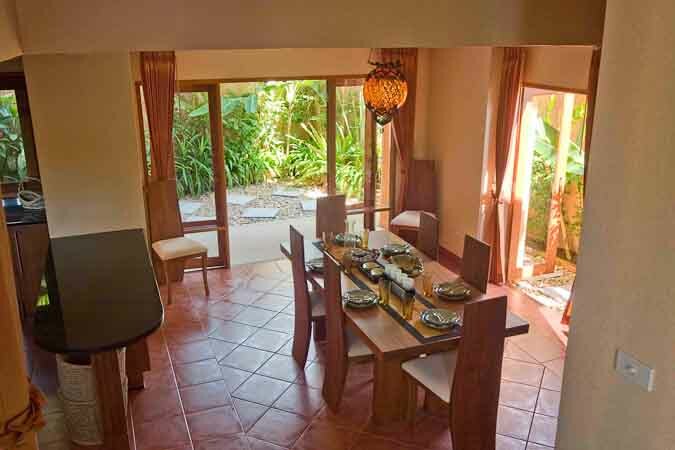 The modern kitchen has a large fridge/freezer, built-in eye-level microwave with traditional electric oven below, a four ring ceramic hob with extractor above, toaster, rice-cooker, and double draining sink. Black worktops complement the aluminium finish, set amongst the ever-present wooden theme.